There are many under-recoginzed architects internationally who deserve a place at history's table, and Lina Bo Bardi is certainly one of them. There are many under-recoginzed architects internationally who deserve a place at history’s table, and Lina Bo Bardi is certainly one of them. By now, the basics of her life and work are known. Born in Italy, she adopted Brazil as her homeland after moving there with her husband Pietro Maria Bardi in 1946. She was an architect of buildings both public and private, modern and traditional, but she was also an editor, illustrator, curator, teacher, and designer of furniture, stage sets, and costumes. While she has become more prominent since her death in 1992 – Bo Bardi furniture designs, reissued by São Paolo-based company Etel, captures something of her multifaceted, multicultural richness. “It’s really about bringing back the story of her life, how important her role in Brail was, and her relationship to architecture and design,” says Lissa Marmona Tozzi, the CEO of Etel (her mother, Etel Carmona, is its founder). Carmon Tozzi and her team conducted a year of research to put the collection together, working closely with the Insituto Lina Bo e P.M. Brad, which was founded in 1990 and operates out of the Bo Bardi-designed Casa De Vidro, the architect’s former home that was completed in 1951. 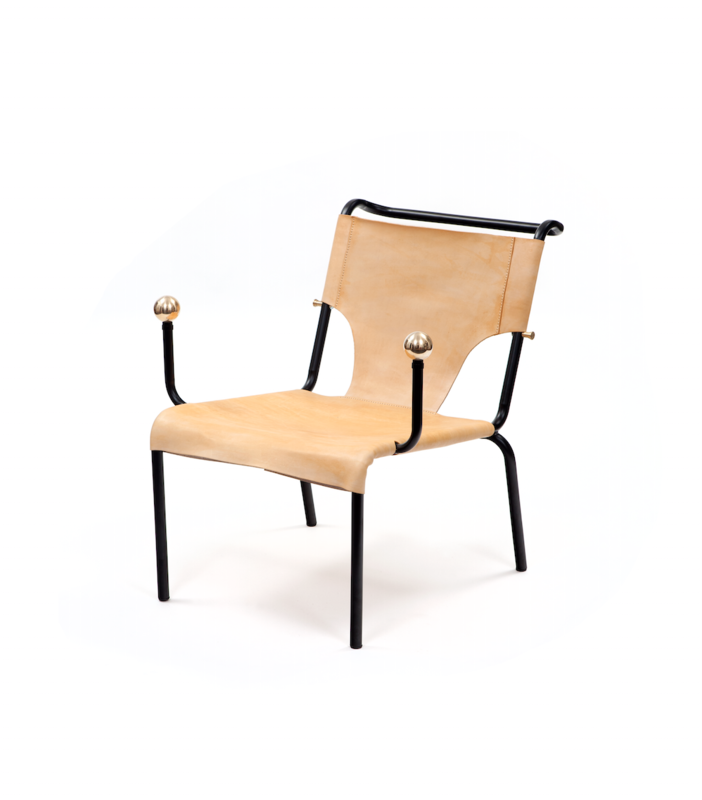 Four chairs are now available: Metal Tripod Chair (1948-51), MASP 7 de Abril Chair (1947), Chair with Brass Balls (1947-50), and Rocking Chair (1948). Carmon Tozzi insists that the collection is, above all, a narrative about Bo Bardi. “We don’t deal with pieces, we deal with stories,” she says. “The collection really reflects the designer’s personality and her legacy.” Tel will ultimately release a total of 12 pieces, all of which are meant to represent important aspects of both Bo Bardi’s work and the sophisticated material and craftsmanship that Brazil champions.